"I ordered a light fixture through your company that I couldn’t locate from any local lighting stores. Robin in customer service and Rickey in purchasing were helpful and professional in assisting me in finding and ordering the light. I will be sure to use your company and refer other customers to you in the future! Thank you." 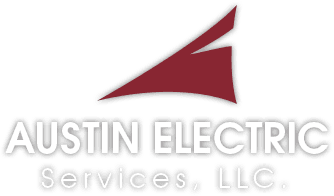 "When I called Austin Electric about upgrading the lighting in my house and yard, I was very pleased and surprised on how quick I received a follow up call to schedule an appointment. Rodolfo was very friendly and knowledgeable and made several suggestions that saved me money! The work was done in less time then I expected and our home was left as clean as it was before they started. " "I lost power to several of my outlets in my garage and bedrooms. Your man, Jose Lopez, showed up on time and diagnosed and fixed the problem very soon after for half the price I thought I’d pay. Living in Maricopa, we don’t have a lot of services to choose from, so it was unexpected to have such professional and prompt response. " "We really appreciated the professional work that Mark did for us today. We will definitely use Austin Electric again!"